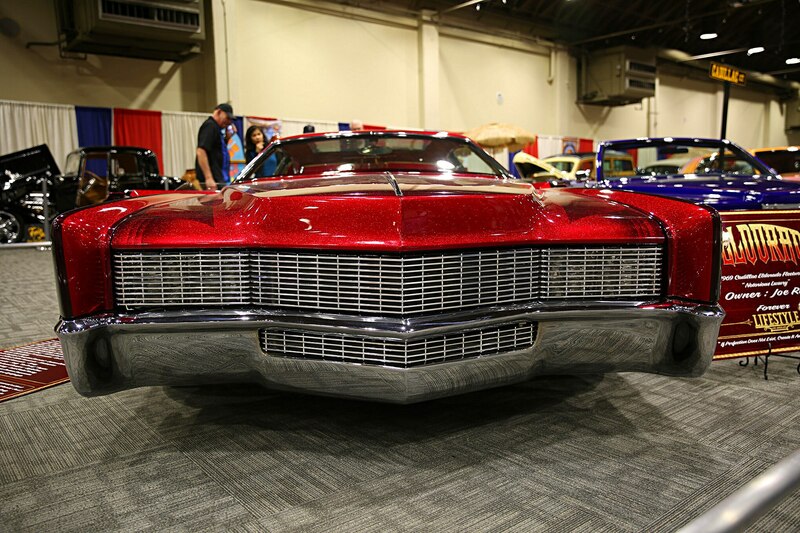 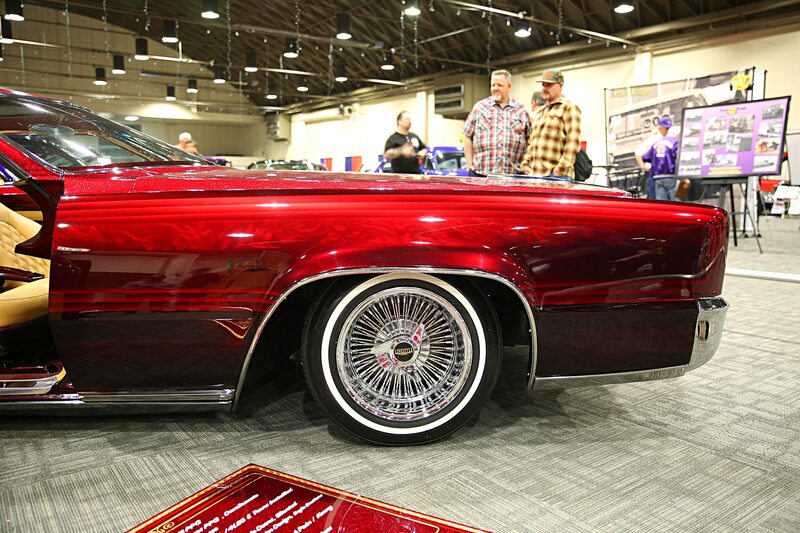 At a show like the Grand National Roadster Show it takes a lot to stick out. 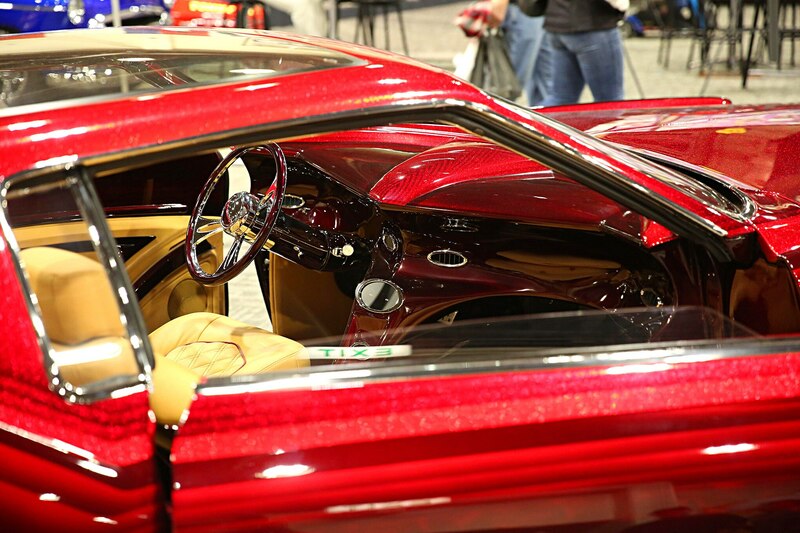 You would think having a car with hundreds of thousands, if not millions, of dollars and countless man-hours of work put into it would be enough, but at the Grand National Roadster Show you’re not the only one who has that much put into your car. 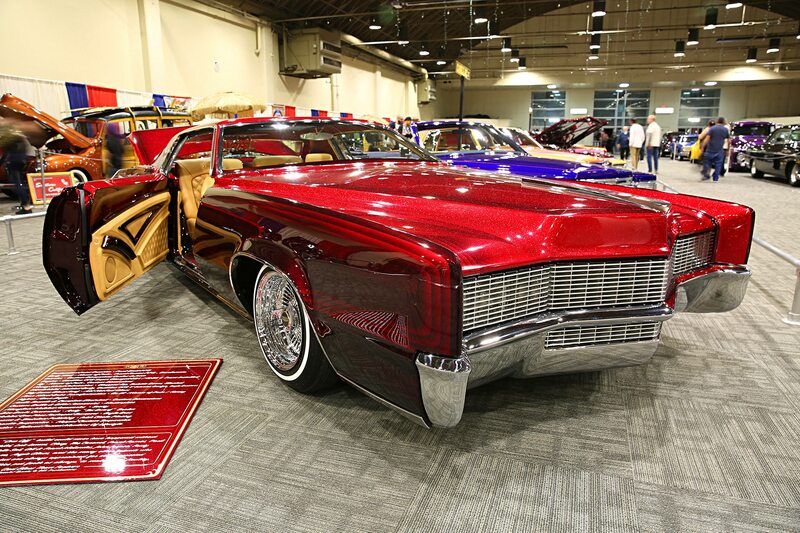 In the sea of high-caliber cars that is the GNRS, you’re just another drop in the bucket. 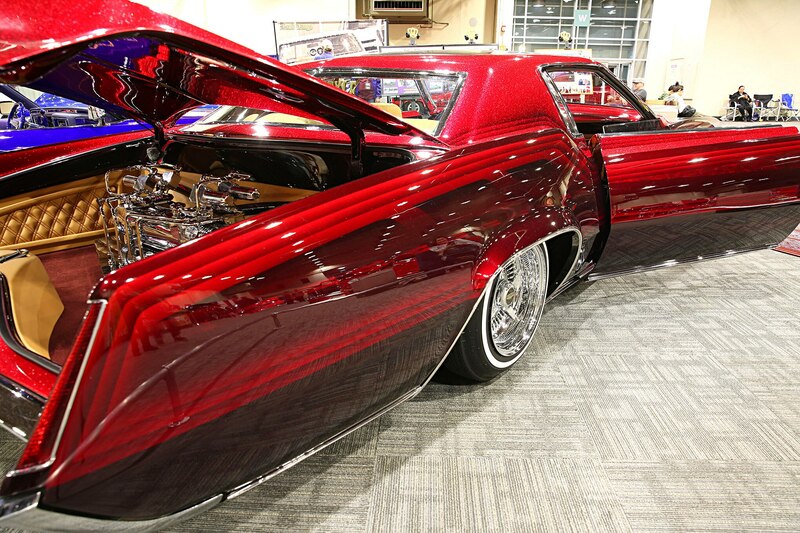 Featuring bodywork by House of Pain, Frank Ramos, Dave and Greg Engle, and Dave Zazueta, which includes a chopped top, suicide doors, slanted windshield, molded body, and a sky dome glass roof from AM Hot Rod Glass, “Helldorado” is painted in a custom red by Paul Stoll of PPG. 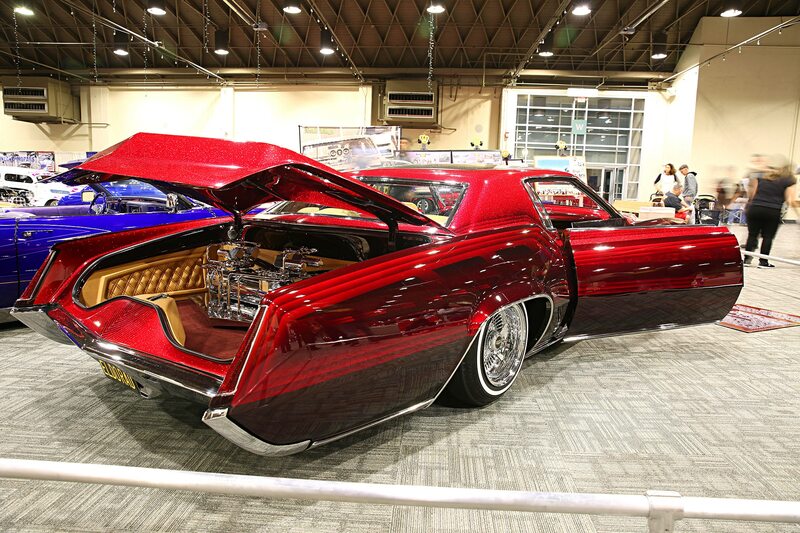 Underneath the hood is a supercharged Cadillac CTS LSA engine mated to a 4L85-E transmission. 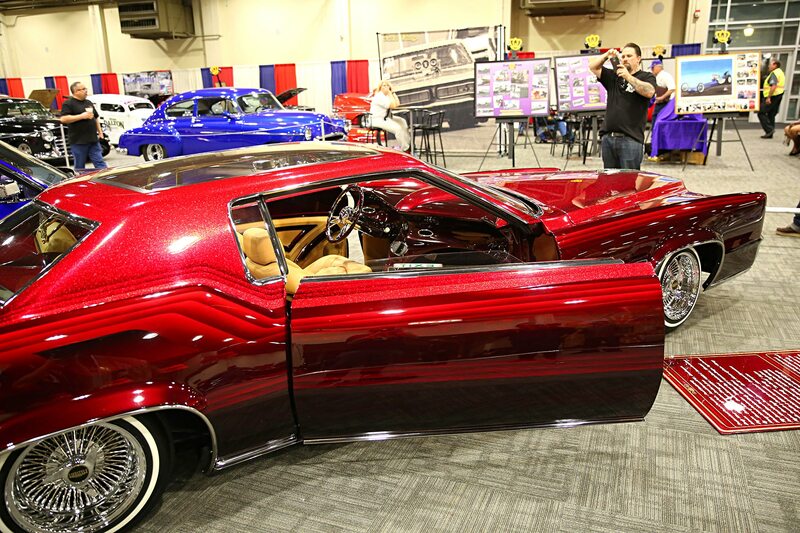 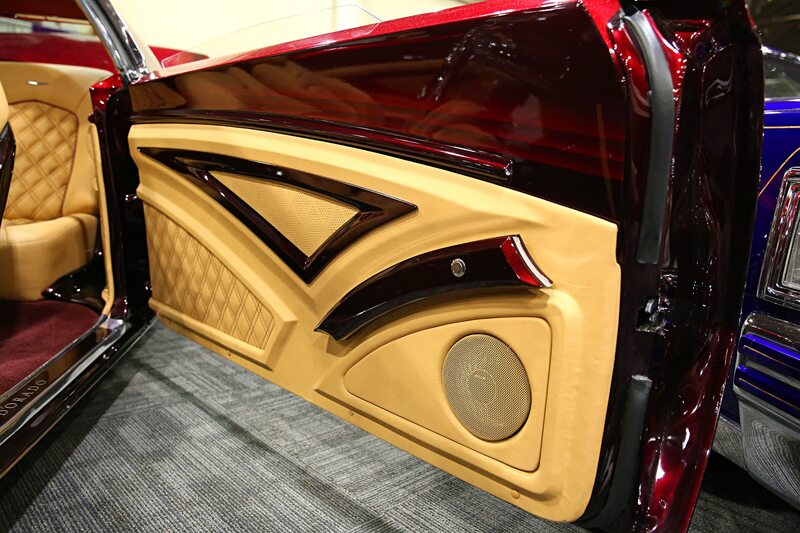 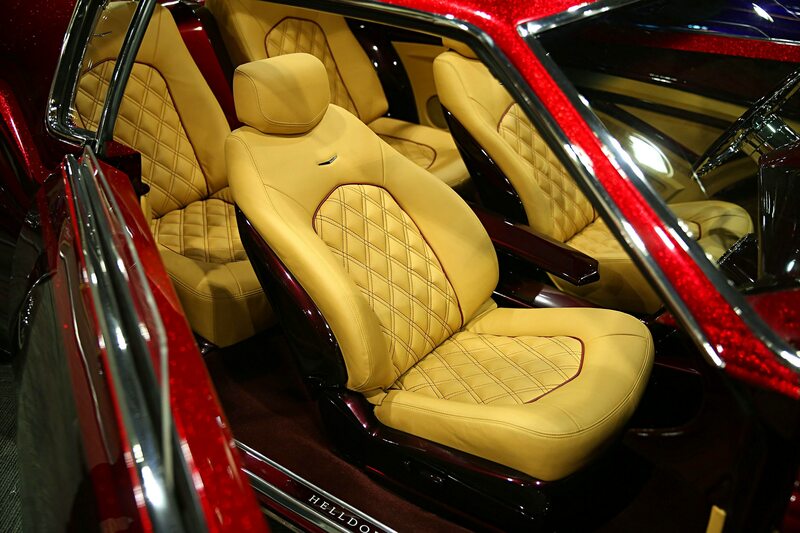 Inside the cabin is a CTS-V interior by Customs Dimensions while inside the trunk is a custom hydraulic suspension setup from Hoppo’s Hydraulics. 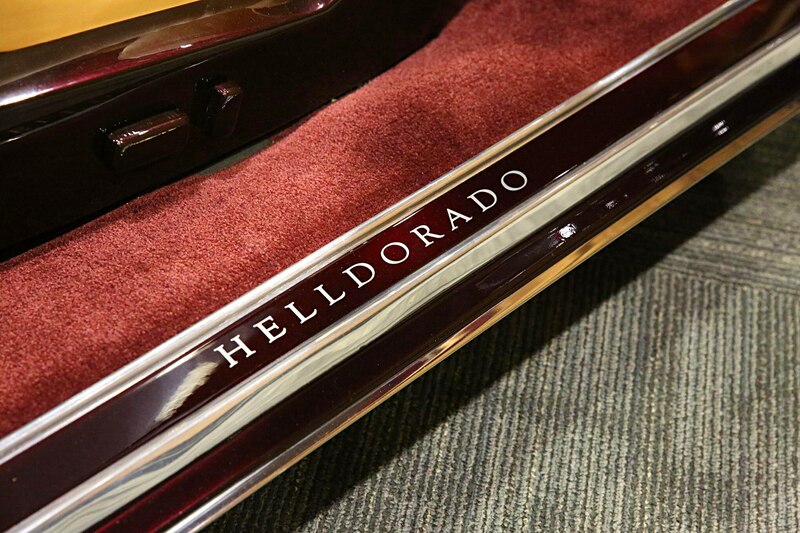 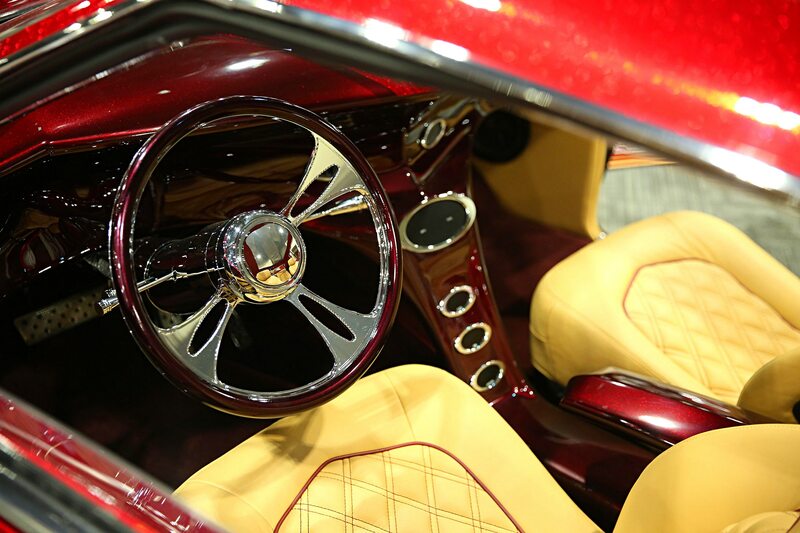 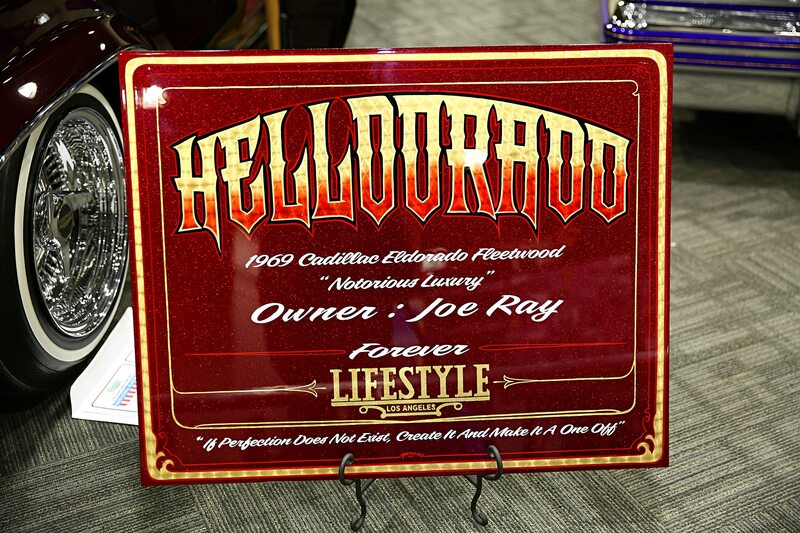 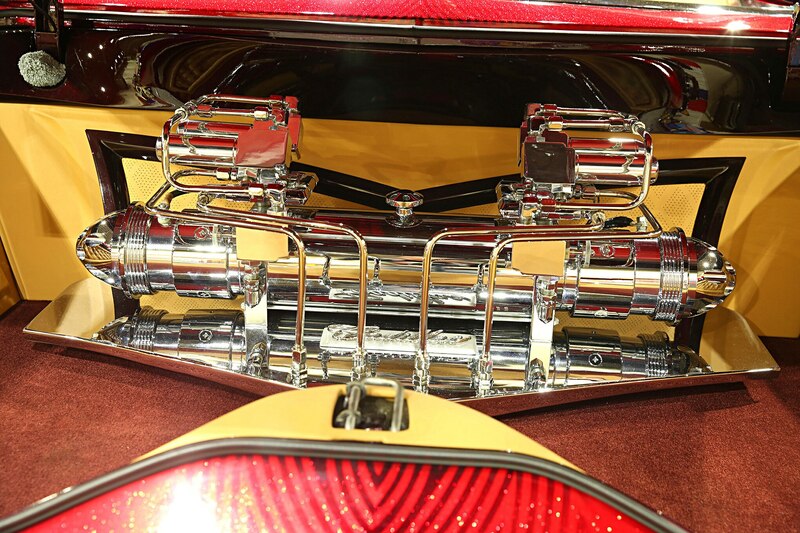 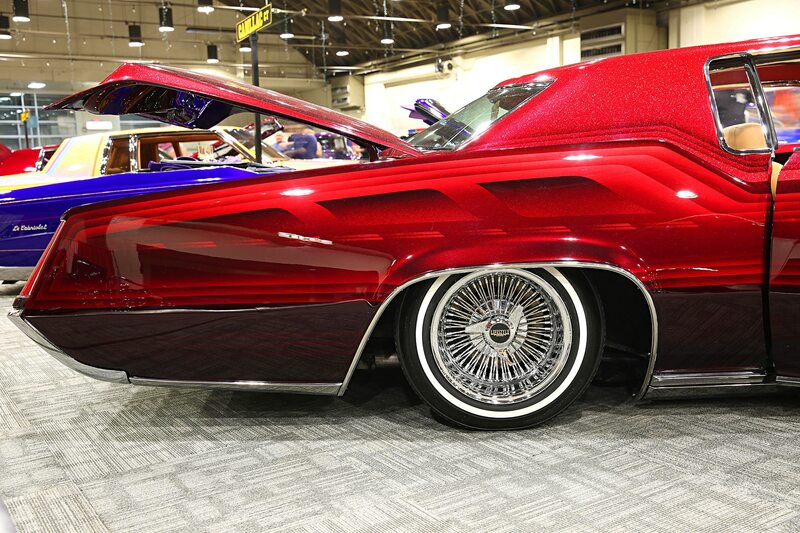 With all of that put into it “Helldorado” was standing out at the 2019 Grand National Roadster Show like a ruby in a bushel of diamonds, getting head turns and second glances from anyone who walked past it while Joe himself was receiving nothing but praise and compliments with at least one man telling him that he thinks the “Helldorado” was the most beautiful car at the show.